Teeth whitening (or dental bleaching as it is known professionally) is now one of the most popular cosmetic treatments available and demanded. It is a safe and controlled treatment and your teeth can be made up to 8 shades whiter. Do nothing differently. Just go about your day to day activities as normal. Brush your teeth before the procedure and try to maintain oral hygiene as regular. Teeth whitening is very safe. Some people can develop sensitivity which resolves in about a day. We actively try to prevent sensitivity by applying the correct strength product and also using a remineralisation product after the procedure to reduce the sensitivity. 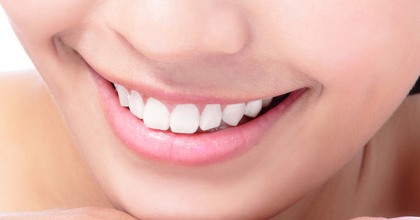 If you have veneers, it is important to remember that they will not bleach and therefore your other teeth can be slightly whiter as a consequence. If you wanted to maintain your whiter look that our dentist could possibly advise on replacing them with whiter veneers. Millions of procedures are carried out every year across the UK, Europe and North America. With the right expertise, you can have an amazing white smile in an hour! Teeth are whitened by a specially formulated bleaching gel which is safe for the enamel of your teeth. It takes off any surface stains and any deep set marking by reacting with any organic matter and turning it colourless. It does not damage your teeth and does not leave them soft or brittle. In fact, after 2 days your teeth are structurally the same – BUT WHITER! Teeth Whitening works immediately and you will see the difference as you leave the clinic. As long as you follow some simple rules your teeth will be whiter for at least six months. Many people like to ‘top-up’ for special occasions and this is absolutely fine.